The Taco Trail | ¡Tacoventura! My taco work involves more than reviewing tacos and taquerias. It’s more than documenting history and diversity. My work includes championing the taco operations that deserve support. 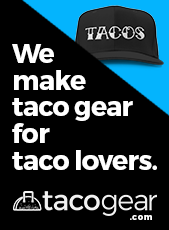 This is has largely taken the form of co-hosting or curating taco festivals. 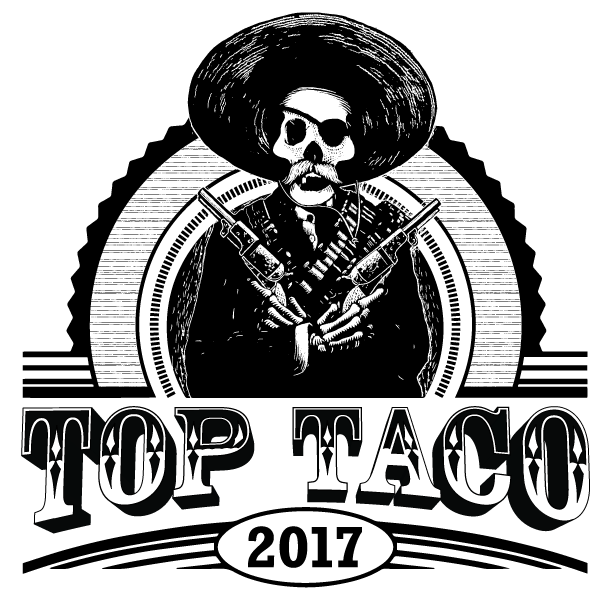 It began with 2013’s North Texas Taco Festival in Deep Ellum and the taco truck and beer fiesta TacoCon Cerveza at Four Corners Brewing Company. 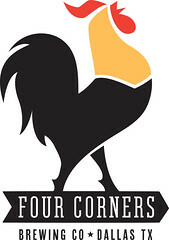 I have since been involved in more events at Four Corners, including Taco Night and a Taco Talk presented by Slow Food Dallas. Most importantly I partnered with Sonar Management/Kirtland Records to curate the taco and music festival ¡Taco Libre Dallas! Now in its third year, ¡Taco Libre!, has set to expand to Austin, Sunday, May 14. That’s Mother’s Day—and what better way to celebrate mama than with tacos, tacos, tacos? More about Taco Libre Austin later. Taco Libre joins a series of taco parties from South Carolina to New Orleans, and beyond. Here’s a bunch. Taco or not a taco? Is a gyoza-wrap fried shell taco actually a taco? That’s the question I asked myself as I sat at the counter of Takumi Taco, a Japanese-inspired Mexican food stall in New York’s Chelsea Market. The “taco” in this instance was a chilled slap of big-eye tuna sashimi brambled with jicama, avocado, cucumber and more. It laid askew in a basket on Takumi’s counter. The food’s fresh frigidity fluttered across the sides of mouth juxtaposed by the crunch of the golden, ridged shell surprised and perplexed. A sashimi taco? No one expect the meme treatment. My phone buzzed and the nightstand on which it sat carried the vibration. It was Saturday morning and the Do Not Disturb feature on the phone had deactivated. The reason for the buzzing? Notification that my wife—already out of bed—had posted something on my Facebook wall. That something was word that I had become a meme, those viral internet objects of squirrels fighting with lightsabers, clever phrases above an image of Ned Stark, a grumpy cat, and tacos tacos tacos. The form and subject of a meme is almost endless. And there I was wearing a western pearl-snap shirt grinning while squeezing limes on a plate of tacos alongside my brother-in-law at the lunch counter in the back of Mexican grocery in Tampa, Florida. The words “Money can buy me happiness. It’s called tacos.” framing the image. Well, yes. That is true, but neither of us nor the photographer, Jeff Houck, who at the time was a Tampa newspaper food writer, ever imagined we’d be part of a meme. By now you’ve seen Donald Trump’s Cinco de Mayo tweet (see above). In it, he declares his love for Hispanics while eating a taco salad—taco meat, tomatoes, cheese, whatever Mexican-like ingredients in an edible vessel—in his office. The self-contained very American food he was insincerely enjoying was set atop what looks like an image of his swimsuit-clad ex-wife, Marla Maples. Behind The Donald, we see desk drawers partially open. What a mess! Trump’s tweet came on the heels of his becoming the presumptive Republican nominee for president. You can look at taco salad in one of two ways. First, like the tweet, the taco salad is a pandering product of cultural mutation intended to make the mass consumption of Mexican-ish food and Latinidad palatable to the dominant Anglo culture. Or, as a result of endless cross-cultural culinary innovation, something that occurs when two traditions meet and get down. It’s neither good nor bad. The taco salad just is. The dish began its slow journey to Trump’s desk in the 1950s when it was known as the Ta-Cup, an invention of Elmer Doolin, the founder of Fritos, as Gustavo Arellano writes in Taco USA: How Mexican Food Conquered America. Ta-Cups were sold at the Fritos restaurant in Disneyland. There was no stopping Fritos and the taco salad. Cesar, the Tijuana donkey zebra, welcomes you to Tacos Mariachi. For months I watched as demolition and renovation of the old Taqueria La Chilanga plodded along. I peeked in the windows, took photos, snooped (I mean, acted like a journalist), and waited. I got to talking to Jesús Carmona, owner of the restaurant replacing the husband-and-wife-run La Chilanga, and learned what was coming: Tacos Mariachi, a Tijuana-style taqueria. The idea excited me. In less than a year, Dallas had become home to Mi Lindo Oaxaca, an Oaxacan restaurant, La Norteña, a Sonoran-style tortilleria, and Resident Taqueria, a chef-driven Lake Highlands neighborhood spot. 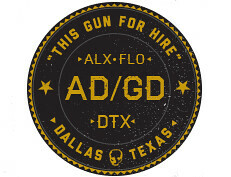 And soon, a joint would be slinging Baja California border-inspired fare, broadening Dallas’ taco diversity. But I had to wait longer than expected. Tacos Mariachi’s opening was repeatedly delayed. My anticipation increased. The first opportunity I had, I bit into the seafood campechano, an octopus-propelled taco studded with juicy chopped steak held firm to a crisped flour tortilla by a layer of melted asadero cheese. Adding thin lines of tart salsa verde and fruity habanero-mango salsa transform the package into something as bright and playful as the patio mural honoring Tijuana’s iconic tourist attraction, the donkey zebra. The mural also includes cheeky statements like Hasta puedes tomar agua (You can even drink the water) and a streetscape representing the Mexican city’s Avenida Revolucion with painted structure outlines standing in for Banorte and Oak Cliff’s Araiza Tortilleria, where Tacos Mariachi gets its tortillas. As far as taco capitals north of the border, it’s hard to beat Los Angeles. Often called the largest Mexican city outside of Mexico, the city is home to an intimidating array of tacos styles served in fast-casual spots, full-service restaurants, makeshift corner setups and food trucks.